A trail around Britain's historical airfields many lost to developers or mother nature herself. Come along on a voyage of discovery and nostalgia. My Dad – My Hero 25th June 2018. The Development of Britain’s Airfields. RAF Biggin Hill Vestry demolished. As Heard on the BBC: RAF Kings Cliffe – Time is running out! King’s Cliffe Planning Application gets the go ahead. RAF King’s Cliffe – Buildings not to be listed. 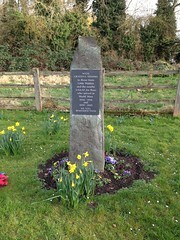 A New Memorial to Honour Those Who Never Came Home. 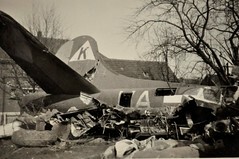 September 8th 1943 – Tragedy at RAF Mepal. Trail 28 – Southern Norfolk (part 4) Fersfield. RAF Scampton – What does the future hold? Trail 38 – To the West of Norwich. Fogo Church – Sixteen of the men who died around Charterhall and Winfield. 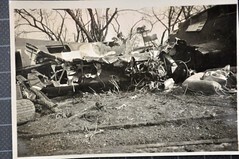 Duns Cemetery – Two accidents that took three young lives. Trail 42 – East Lothain – Edinburgh’s neighbours. 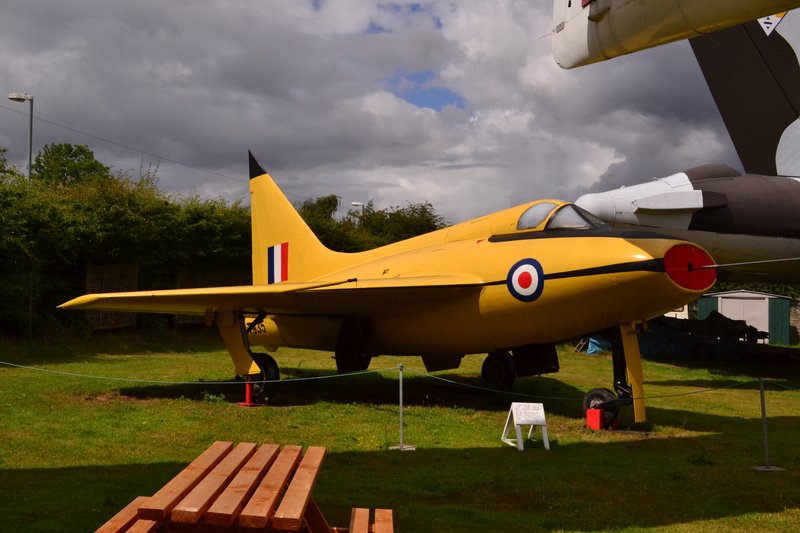 Trail 43 – The National Museum of Flight – East Fortune. Trail 44 – Kent (Part 3). Trail 45 – Essex Part 2: Castle Camps and Wethersfield. Trail 46 – Essex Part 3. Trail 47 – Northumberland – The schooling of Ground Attack! Trail 49 – Bomber Command – Bury St Edmunds to Haverhill. Trail 50 – Haverhill’s neighbours – Wratting Common and Great Sampford. September 26th 1942, a near tragedy for three RAF Squadrons. Trail 51 – RAF Macmerry – The darker side of War. Trail 53 – Scotland’s East Coast – Fife. Trail 54 – The Great North Road. 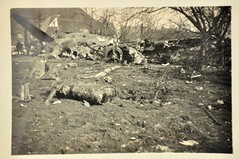 The Transformation of 2nd Lt. Kermit D. Wooldridge, 379th BG, 525th BS. The last flight of Joe Kennedy and Wilford Willy – (RAF Fersfield). Major George Preddy – 352nd FG – A tragic loss. Operation ‘Fuller’ – “The Channel Dash”. End of an Era as Vulcan XH558 bows out. This museum is of particular interest to me, not just because of its aviation heritage, but because it’s not far from where I was brought up. Indeed, I was born in the City of Coventry, a mere three miles or so from here. After about 6 months we moved away to more leafy surroundings but the influence of Coventry was not left behind. More importantly though, my father, my inspiration and the man who gave me my love of aviation, worked here at Baginton on the Argosy for Armstrong Whitworth, an aviation company long since gone. A dear friend of his, also worked here on some secret aircraft, so secret my father sadly never saw it. The main building; the Sir Frank Whittle Heritage Centre. Of course, this area is steeped in aviation history. 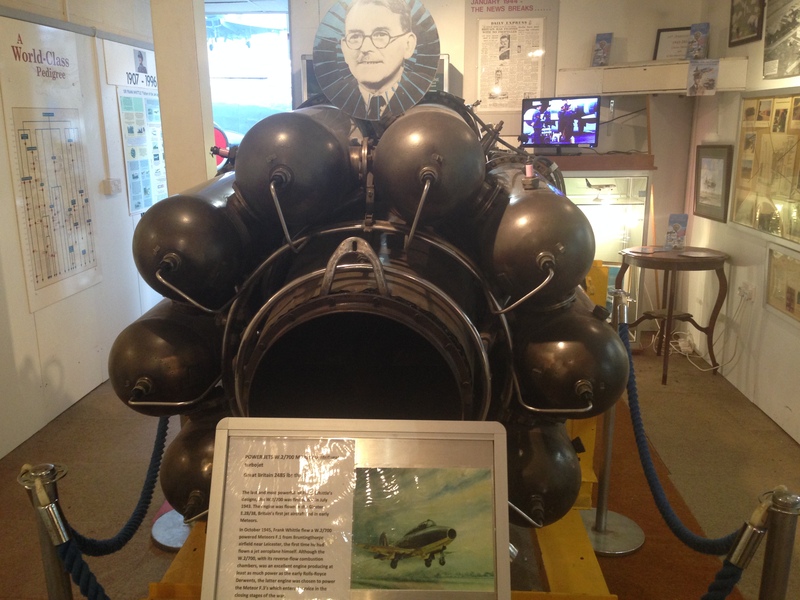 The Jet engine was developed around here, Sir Frank Whittle’s name is used in his honour for a number of pubs and industrial sites across the region. I used to live not far from Lutterworth, famed for ‘Bitteswell’ where many test flight were made for AW, modifications were carried out to Britain’s Vulcans, Buccaneers, Gnats and Hawks to name but a few all under the name of British Aerospace. Also not far from my home was Whetstone, which had the first purpose-built jet engine factory. Coventry itself was a main target for the Luftwaffe suffering great casualties and damage during the blitz and the Cathedral ruins now stand as a monument to those who lost their lives during those terrible times. 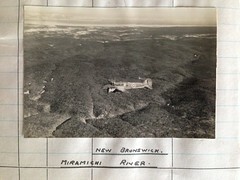 The former Standard (Later British Leyland) Motor works here built over 1000 Mosquitos and a number of other aircraft parts were made in this area. Baginton itself produced heavy bombers such as the Whitley and the Lancaster, Dunlop has a factory here as does Rolls Royce. 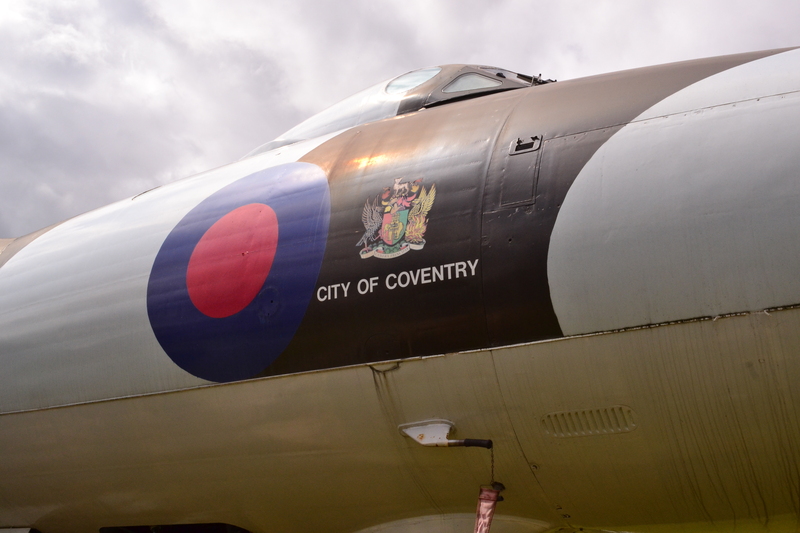 Coventry and the area around it is steeped in both wartime and aviation history. So Baginton holds good links to my past, and it has been far too long since I was there. 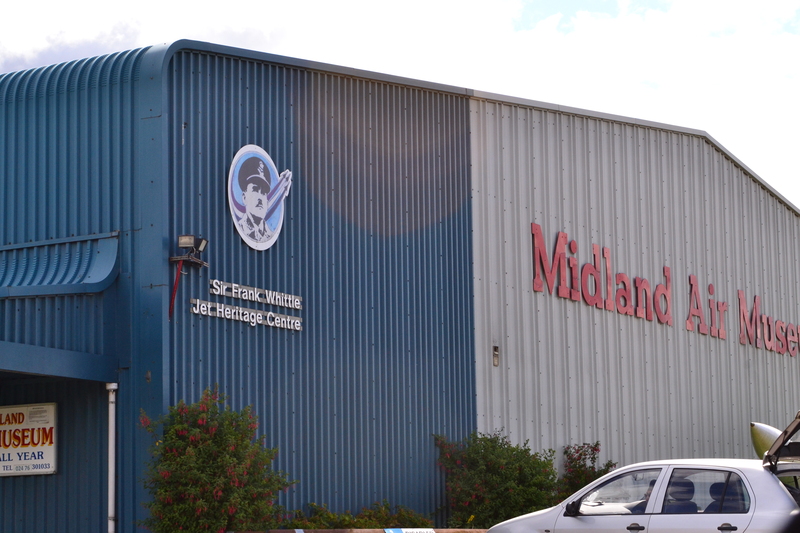 So, whilst in the area, I decided to take a detour and visit the Midland Air Museum, Coventry. 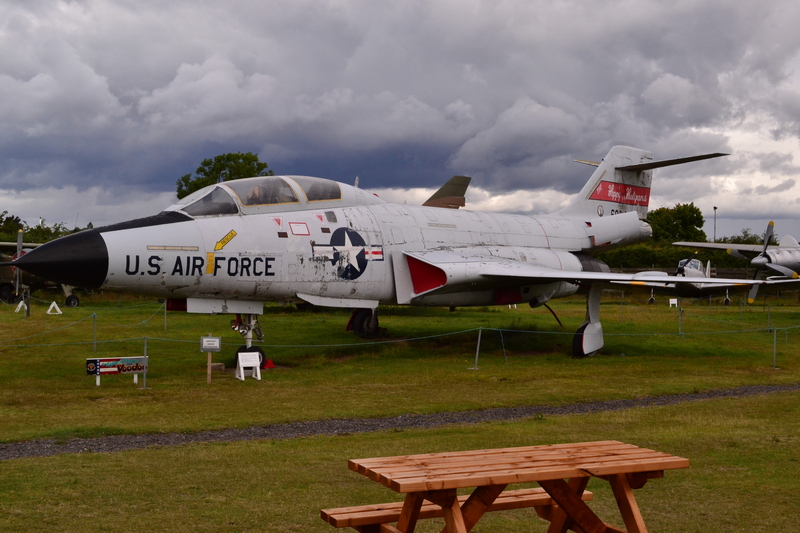 The museum is located to the northern side of Baginton (Coventry) Airport and has utilised this site since 1975. It originally had only five exhibits when it opened but has grown into the enormous collection it is today, holding around 40 airframes and various exhibits including: helicopters, a range of aircraft engines, cockpits, galleries and a vast collection of models. The main building, the ‘Sir Frank Whittle Jet Heritage Centre‘ is not only the main building for the displays and engines but holds a dedicated exhibition of Sir Frank Whittle’s remarkable work. In here, are a vast number of photographs, letters and other documents relating to the creation and development of the Jet Engine. It takes you through, step by step, the process of development of the engine, Frank Whittle’s life and the organisations that built and developed this major invention. Sadly, most of the airframes are outside, some succumbing to the weather and all that the elements can throw at them. However, this aside, the range and selection of airframes is tremendous. Most models here come from the post war era, remnants of the Cold War. A Meteor night fighter stands next to the modern Tornado, A Gloster Javelin, A.W. Sea Hawk, D.H. Sea Vixen, Fairy Gannet and Harrier represent the great naval traditions of British aviation. From the RAF we have the Canberra, Hunter, Gnat, Percival’s Prentice, D.H. Beaver and two stunning E.E. Lightnings; a Saudi T-55 and a Binbrook F6 retired in 1988. Many of these aircraft saw development in the years following the Second World War. The Canberra, first flown in 1949, served right up until 2007 and achieved many awards for altitude and performance flights. Used by Air Forces across the world, variants saw action over the Suez Canal, in Vietnam and in the Indo-Pakistan conflict in the late 1960s. Built under licence in the United States with a redesigned cockpit, the B-57 was admired by many. Production of the Canberra and its variants total around 1,500 and filled a number of roles with a variety of Air forces. The Boulton Paul P.111A bulit in one piece and designed to explore the aerodynamic properties of the Delta wing. Baginton is not just limited to RAF types either. The USAF is also represented through several models, there’s the North American F-86A Sabre and F-100D Super Sabre, McDonnell Douglas F-101B Voodoo and of course the famous McDonnell Douglas F-4c Phantom. Initially designed as a carrier based aircraft, the Phantom was adopted by numerous air forces across the world including the Royal Air Force and the Royal Navy. First flown in 1958, it was so successful that it would continue to serve into the early 21st century; with production totaling nearly 6,000 – it was a major contribution to aviation history. Like other models here, the Phantom fulfilled a variety of roles, being continually adapted to meet new demands and challenges. Truly a great aircraft. 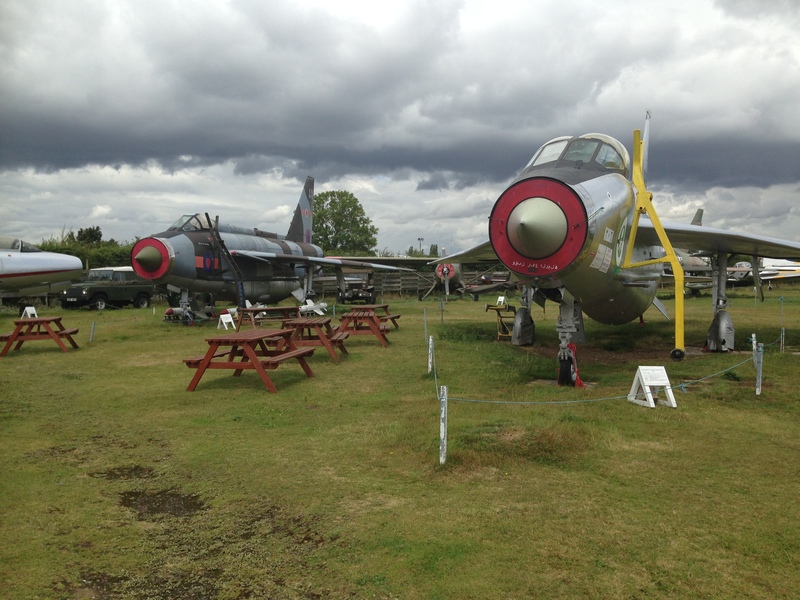 No Cold War exhibition would be complete without opposing aircraft. A MIL Mi-24D Hind helicopter with its formidable nose mounted cannon and gas turbine engine stands alongside Russia’s highly proven warrior, the Mig 21. The Midland Air Museum has a good international flavour to it. Lockheed’s F-104 Starfighter, dubbed ‘Witwenmacher‘ or ‘Widowmaker’ because of its unforgiving nature, stands in Royal Danish Air Force colours, the Mig 21, East German, the Gnat in Finnish Air force markings and the French represented with Dassault’s Mystere IV. However, amongst all this hardware, there are two airframes that stand out for me here at Baginton, and not for their size alone, Avro’s B2 Vulcan ‘City of Coventry’ XL 360 which stands in 617 Squadrons colours, a squadron it served with before retirement, and Armstrong Whitworth’s Argosy 650, of which this is the oldest surviving example. To see both, not only remind me of my younger days, but provide a link to my father whose memories are fading as each day goes by. One of the delights of the Midland Air Museum is that you can sit for free (donations accepted) in many of the cockpits where knowledgable guides will talk you through its history and features, something rarely found elsewhere. To finish off your walk round, there is a small but clean and pleasant cafe, a shop that is filled to the brim with model kits, books and other mementos of your day. The staff are friendly and helpful, always a blessing. Whilst some of the airframes are looking a little jaded, there is an extensive collection to be found here, and for those interested in all things aviation, especially the development of the Jet engine; from the early days of the Sapphire, through to the Olympus, the Avon and the RB199 turbo fans of the Tornado; the Midland Air Museum has them all. Coventry Cathedral is about 3 miles from here, and if time permits, is also worthy of a visit. Details of the museum can be found through their website. I’ve been to the museum a few times. It’s a really lovely place. My last visit was 2 years ago and I was lucky enough to sit in Vulcan B2 XL360. Sadly now that XH558 is bowing out, we will only have fond memories of the ‘whine’ of those four Bristol Olympus engines. But I guess all good things must come to an end. Thanks for a great write up Mike. Thank you for the lovely comment. It is a good little place with lots to offer. The airframes are a little jaded, but like many of these places, volunteers only have so much time and money. I too was lucky enough to sit in the Vulcan, it’s always surprisingly small! Interactive Map: Airfields, Museums and Memorials. Trail 2 – Lincoln Borders – Newark Museum and Cranwell. King’s Cliffe Planning Application gets approval. Trail 37 – The Northern Reaches of Cambridgeshire. The Imperial War Museum, collections. RAF Milfield - Arguably One of Britain's Most Significant Airfields. A dialogue focused on the fascinating past of England through the exploration of local military history. 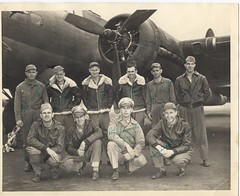 A USAAF B-24 Liberator and its story. 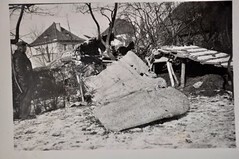 In researching a short period of the Bomber Command campaign in 1941 and 1942 I thought I would share my research on the web. My interest stems from having had a lifelong interest in aviation and having served 21 years in the Royal Air Force. The snapshot in history I have taken, is a sample of the activity that took place at a 5 Group airfield in Rutland. The airfield is RAF North Luffenham and it’s satellite airfield Woolfox Lodge. 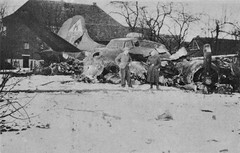 The period is 1941 to 1942 when a number of squadrons operated from the grass airfield. 61 Squadron operated Hampdens and converted to Manchesters. 144 Squadron RAF and 408 RCAF Squadron operated Hampdens. 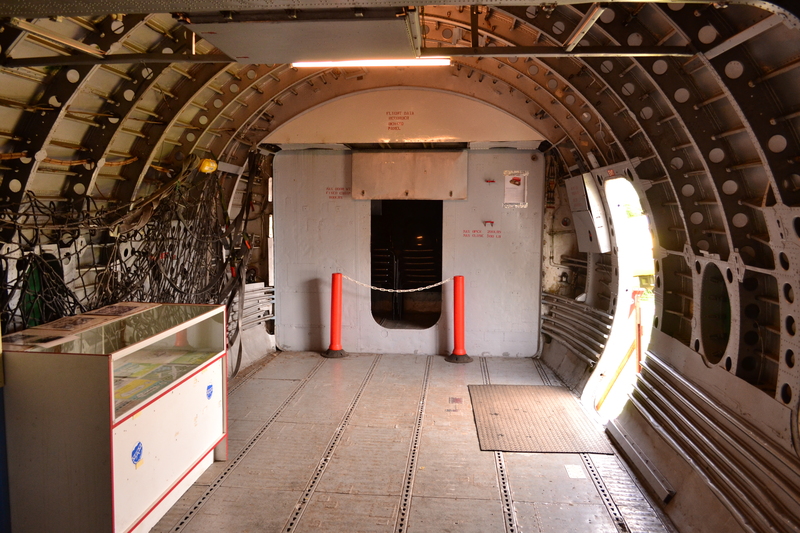 Hampdens were operated at RAF Cottesmore at an operational training unit – that might be another project!